The most important trend in the retail property development market is specialisation. Whether focusing on a specific product category (see BOXPARK’s F&B cluster in Croydon), price positioning (the outlet centre sector more broadly) or customer trip (Cheltenham’s new leisure hub, The Brewery), the most successful developments are finding a niche to remain competitive in a mature UK market. The best destinations understand the variety of shopping trips that their key customers make. 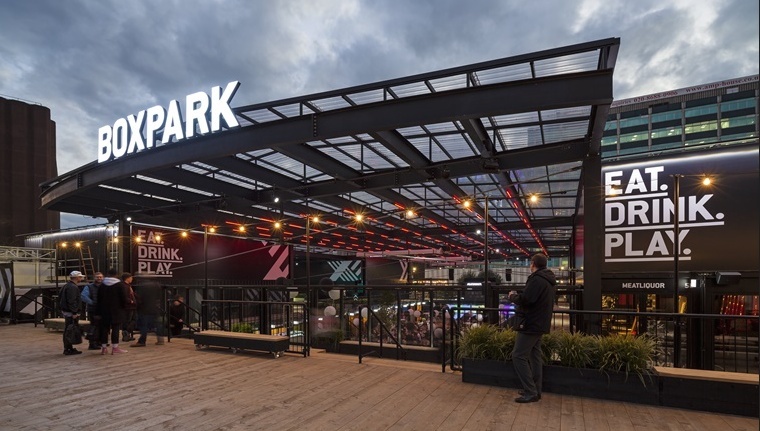 BOXPARK Croydon, for example, targets south London residents who desire innovative F&B but do not want to journey into the centre of the capital. There has been a conscious decision at this property not to provide fashion and other speciality retail, given that consumers will typically view shopping for this as a distinct, more significant trip – often to central London or a large shopping centre. The increase in the prominence of mixed-use developments has partly been driven by a desire to develop a captive audience. A great example is outlet centres, which are a key growth area in the UK retail market with their focus on discount fashion in a value-hungry consumer atmosphere. The new breed of UK urban outlet centres cater for the typical catchment customer by providing discount retail brands. They also appeal to those living or working close by, offering convenience-oriented facilities, F&B and leisure. Gloucester Quays outlet, for example, offers a branch of The Gym, a Vue cinema and the strongest selection of casual dining brands in the city. This makes the centre more productive across day-parts than retail-focused outlets in rural areas, and new customer segments are exposed to the sector. Successful destinations create a dynamic proposition for visitors by scheduling events and using pop-up concepts. This appeals to the contemporary consumer, who is experience-hungry and always on the lookout for new things, and ultimately increases visit frequency. Hatch, Bruntwood’s Manchester development that is due to open in December, for example, will focus on attracting aspiring entrepreneurs and independent operators. It will be a constantly evolving space, to keep it fresh and exciting, with flexible leases and pop-up sites, along with community-focused events and programming to drive footfall.